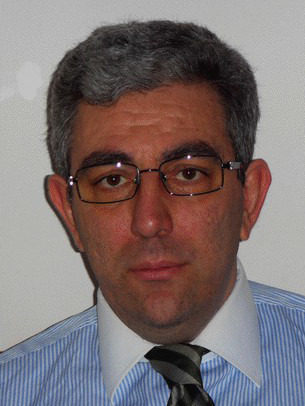 Salvatore Chirumbolo, Biochemist and Senior Researcher is currently Head of the Laboratory of Physiopathology of Obesity, Dept of Medicine, University Laboratory of Medical Research-University of Verona, Italy. Authors of more than 80 papers on indexed on Pubmed/Medline, he graduated at the University of Bologna with highest honours in 1990, earned a Master in Molecular Genetics at the Université Paris VII in 1991 and a Medical post-degree PhD in Clinical Biochemistry in 1995. He held a chief rule in two clinical laboratories related with Italian NIH, from 1995 to 2000 and frome 2000 to 2006 and developed a method to optimize clinical diagnosis of chronic allergy. He is author of many books and books chapters on inflammation and naturederived phytochemicals, is Editor of Nutrition, eCAM J, British J Pharmac Res, invited member of the American Chemical Society, British Pharmacological Society awards in Congress presentation (Chicago 2009, Rome 2008, 2009). 1. Chirumbolo S. Role of vitamin D3 in atopic dermatitis and immunity: Some comments. Allergy Asthma Proc. 2015 May;36(3):234-5. doi: 10.2500/aap.2015.34.3843. 10.Chirumbolo S. Flavonoids in coronary heart disease. Thromb Res. 2015 May;135(5):1040-1. 11.Chirumbolo S. Anti-inflammatory property of propolis. J Clin Biochem Nutr. 2015 Mar;56(2):163-4. 12.Chirumbolo S. Basophil Activation Tests Based on CD193 Marker in Dipyrone Allergy. Allergy Asthma Immunol Res. 2015 Jul;7(4):414-5. 14.Chirumbolo S. Reply to Claude Lambert. Hum Vaccin Immunother. 2014;10(12):3724-5. 15.Chirumbolo S. Genistein as a nature-derived PPAR agonist in adipogenesis and weight gain. Eur J Nutr. 2015 Apr;54(3):489-91. 4. Chirumbolo S (2012) Chapter 1 Flavonoids: Recent Insights on their Biological Action In Handbook on Flavonoids: Dietary Sources, Properties and Health Benefits (Biochemistry Research Trends),Kazuya Yamane and Yuudai Kato Eds, Nova Publisher, Hauppage, NY, USA.